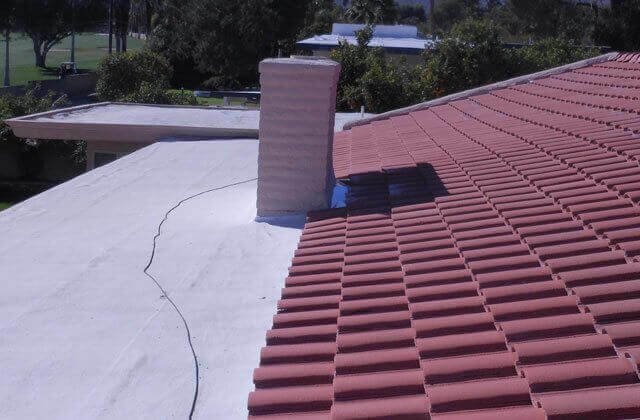 Trust the professionals at Corona Coatings to provide high performance, competitively-priced spray foam roofing, wall insulation, storage tank coating, and foam roof maintenance, inspection and certification services for your Yucaipa home or business. Since 1976, Corona Coatings Corp. has provided the most innovative spray foam insulation (SPF) technology for thousands of satisfied homeowners, business owners, and construction industry professionals throughout our Inland Empire service area. Spray foam roofing and insulation is becoming more and more popular, and is the preferred choice for property owners who want to provide the most temperate environment possible within the walls of their homes or businesses, and the best living conditions possible for those inside. At Corona Coatings, we are an authorized contractor for both the Henry Company and NFCI Polyurethanes, and proudly install their long-lasting spray foam roofing and insulation products. Our spray foam roofing and insulation technicians are highly experienced, and have each worked from 12 to 14 years in the industry. In addition, they must participate in an on-going program of training in our products. Call us today, and speak to one of our knowledgeable spray foam roofing and insulation professionals. Our office hours are Monday through Friday, 8:00 AM to 5:00 PM, and we offer free estimates to all of Yucaipa. Corona Coatings Corp. is licensed, bonded, and insured. 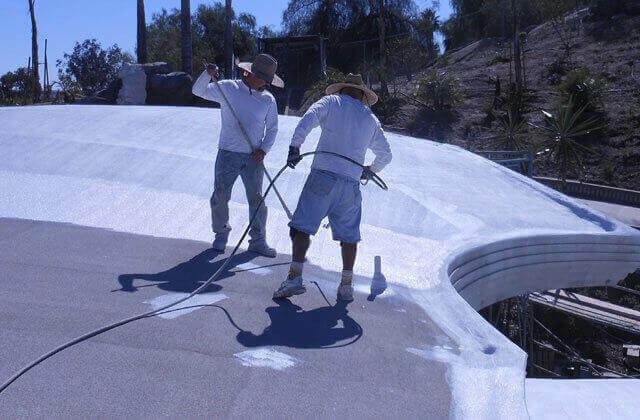 At Corona Coatings, our foam roofing professionals apply their years of experience to performing official foam roofing system certifications, required by real estate law on all commercial and residential properties possessing a foam roofing system prior to sale. In addition, spray polyurethane foam roofing systems typically last from 12 to 14 years, a lifespan comparable to that of single-ply asphalt-based flat roof roofing systems, but unlike these systems, foam roofs are highly insulating, and much more leak resistant. 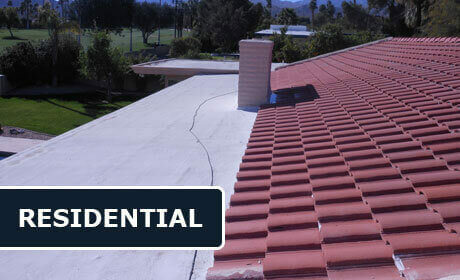 Corona Coatings also provides free foam roof inspection services to Yucaipa, on all types of existing foam roofs. During our inspection, we carefully evaluate the condition of the roof, and then provide a written report recommending any repairs or maintenance services necessary to keep the roof functioning optimally. In addition, our repairs can be custom color-matched to the existing foam roof. At Corona Coatings Corp., we believe in educating our clients about the proper care and maintenance of their polyurethane foam roofing systems. The length of time a foam roof lasts is dependent upon proper care. At Corona Coatings, we offer an annual routine maintenance service, during which our roofing professionals will remove all debris from your foam roof, evaluate the integrity of your foam roofing system, and recommend any required roof repairs. At Corona Coatings, we install our energy efficient spray foam wall insulation for Yucaipa building contractors, homeowners, and business owners, and perform this service for both new and existing construction. The insulating characteristics of closed cell polyurethane foam far outperform those of standard fiberglass batt and blown-in cellulose insulation, making the decision to install polyurethane foam wall insulation in your Yucaipa home or business an investment which will pay for itself in energy savings over time. Trust the professionals at Corona Coatings for your Yucaipa home or business spray polyurethane foam roofing or wall insulation, or storage tank coating project. At Corona Coatings, our skilled technicians are committed to observing the highest standards of professionalism on the jobsite, and in always meeting and exceeding the expectations of our valued clients. The benefits of modern spray foam roofing and insulation have been acknowledged by building industry professionals for years. Spray polyurethane foam roofing and wall insulation systems provide a superior barrier against both hot and cold outdoor conditions, significantly impacting the output of energy required to heat and to cool Yucaipa residential and commercial structures. Choose our high performance spray foam roofing and insulation products over traditional roofing and insulation methods. This decision is an important one: because it will have a major impact on the amount of energy which will be required to heat and to cool your residential or commercial property. Call us today. Corona Coatings holds both a C-39 Roofing Contractor's license as well as a C-2 Insulation Contractor's license, and is a proud member of the Better Business Bureau (BBB) and the Spray Foam Insulation Alliance (SFIA). 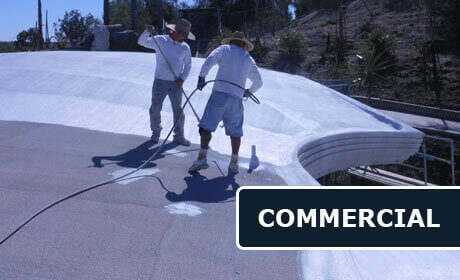 At Corona Coatings Corp., we perform all or our storage tank insulation projects to exacting standards. Our spray foam insulation is ideal for insulating water tanks, grease traps, chemical tanks, wine tanks, and solar tanks, and we have the capability of insulating both heated and cold storage tanks, enabling these containment devices to maintain the optimal temperature required for storage, and saving our clients money on their utility bills. Choose the best. Call us today for a free onsite estimate at your Yucaipa home or business.